Common’ Laurel… That one’s easy. Everyone knows that painting walls white will make a room appear larger. Right? Sorry, but that answer is false. Oh stop looking at me like I just told you that Little Bo Beep is a militant vegan! I mean, I know, I know… it’s EVERYWHERE! Believe me, I see it on a daily basis. And every time I read it, I get angrier and angrier because it is one of those interior design myths that’s proliferated into our mainstream thinking like two horny gerbils locked in a cage together for a month. Here ya go. Here’s what I’m up against. Some magazine or blog will write an article or a post. How To Make A Room Appear Larger. That’s a great headline. Very compelling; everyone wants a small room to appear larger. Here are some quotes from some articles I found. Oh, I could keep going… Thousands of online magazines, forums and bloggers believe that painting a small room white will make it appear larger. Their justification is that white is reflective therefore creating “expanse,” while dark colors absorb light making a room feeling more closed in. It sort of makes sense enough for most of it not to question it. Yes, it’s true. A light color will give the feeling of light and airiness because it reflects the light. But that is not what we are talking about. We are talking about the size of the room. And reflections of light come forward making the room appear to be smaller by making the walls appear to be coming towards us. 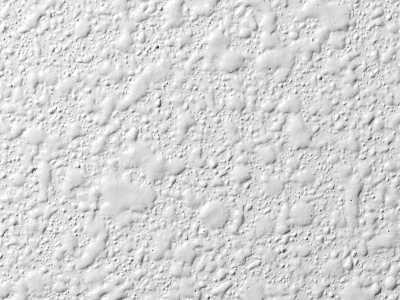 Take the ubiquitous white ceiling. Yeah… Painting it white will make it appear to be lower. When I go on paint consults I hear the same thing over and over. My face is smiling sweetly. This is what I say to my clients when I see that they think I’m a clueless idiot. “Well… dark pants.” They smile back at me. Still… I can see the wheels turning. What that hell is she talking about? How does that translate to walls? This is physics, not an opinion; not a debate; pure science. Here is the proof.. The black recedes and the white projects. The white square also looks larger, doesn’t it? It’s not. The two squares are the exact same size. And the two outer squares are also the same size. The white one appears to be thicker. Okay, Laurel, so that means that because the white square looks larger, it means the room will look larger? Right? Sorry, no. I get your thinking. But it’s not one wall. It’s six counting ceiling and floor. Four walls and a ceiling painted white will look bigger and closer than they really are. Therefore the room will appear to be smaller. Surely Bo Peep eats meat? No, I’m afraid to tell you that she doesn’t and never did. It’s a difficult nut for some people to swallow. I understand. It takes time to turn the ship around. Notice how the walls appear to go deep into space. Normally, I’m not a huge fan of accent walls. Two exceptions are when they are architecturally meaningful like in a dormer or in bedrooms, behind the bed. This is a rental in NYC. You have to click on the link to see the before. Amazing what can happen with a little paint and a scrub brush. ;] Again, notice how the dark wall recedes and the white tile appears to be coming forward. Notice, the white “popping” forward against the receding wall. Fabulous blog post (if you click on the link) explains her process and how she hung the cool chandelier. Notice how fabulous colors and the warm metal looks juxtaposed against the cool dark blue. Notice too, how she took the black all the way up and onto the ceiling. Love. A sea of infinite inky blue. I love how the color draws you in to its depths like looking into a deep dark ocean. Farrow and Ball Hague Blue – Warm blues make my heart sing! And this one is divine! I could not find an original credit and I realize that this space is pretty funky. But I actually love this look. It’s like it’s been there for 300 years, scrubbed but well-loved. Above and below. Notice how the black ceilings have the feeling of deep space. The dark ceiling pulls it upward. Another wonderful color Is Farrow and Ball Down Pipe. It is a charcoal gray with slightly blue-green undertones. I’ve never used it but there are many who have who consider it to be the greatest color ever! Love the way the bright colors in the artwork pop out. Another wonderful color from Farrow and Ball called London Clay which is a Brown-Gray, these days called “Bray” This is another fabulous color juxtaposed next to wood and art. An exterior shot using Benjamin Moore KENDALL CHARCOAL HC-166. This is another great, deep rich, warm charcoal color. Please notice how it appears to recede against the white which is projecting. I hope I’ve won you over to the dark side. If so, will you gently correct folks who insist that light rooms look larger? They don’t. They look lighter, yes, but smaller. This is why LARGE rooms (with a lot of light) look wonderful painted in a light color! My point is… Don’t be afraid to paint a room as dark as you like because you’re afraid that it’ll look smaller. That is pure hokum! Here are some other tips when using dark colors in your rooms to make the most of them. Black loves dark blue. Insanely. Cooler dark colors will make the room seem the largest. (another myth is to paint a room a warm, bright color to make it larger but that’s a different post! To make a ceiling appear higher, paint it darker than the walls and don’t forget the floors. Dark floors will appear to go deeper. To make a room look longer. Paint the back wall dark and the side walls light. While I love matte paint, for blacks and navy I generally favor an egg-shell or even a satin finish. However, the walls must be very smooth. No shiny orange peel please! I realize that I’ve been talking a lot about black and dark shades recently. I am fine with you painting your home white. I could happily live in an all white house. Years ago, however, I visited a home that was largely black and dark blue. It was absolutely the most heavenly thing I’ve ever seen. Deep, enigmatic and very comforting. I could’ve lived there too. The kitchen was all white. I would’ve painted the walls a rich navy. It’s just something to consider. How do you feel about it? Would you paint a room a very deep color? Black? Have you done so? Any tips I might’ve missed? Although I agree with you that it makes a room look bigger, it has been my experience that dark rooms like you feature above are not places people wish to spend time in. I used to work for Windsor Smith and we were big into painting rooms black for a time. The thing was, people were not drawn to those rooms. They were too dark. Despite how beautiful they were, people preferred hanging out in the light colored rooms. There is one exception though: a dark paint in a powder or bathroom is the bomb. No one spends significant time in there anyway so it doesn’t matter if it’s dark. That’s very interesting and I don’t disagree. It’s rare in my practice that I’ve gotten the opportunity to paint a room a dark color. But most of the time, the spaces are punctuated with windows, doors, furniture, etc. so I don’t recall any of them feeling that dark. Still, the majority of people prefer light and lovely. We did a killer black bathroom last year. I posted it here somewhere. Not the greatest photos, but it’s an idea. Hooray for the Garden Web! 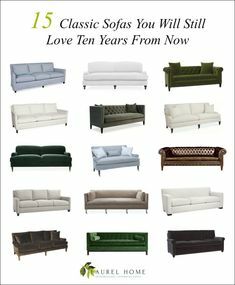 And so glad that you chose gorgeous colors that work beautifully for your home and furnishings! Thanks so much Karen. It’s very difficult because I get a lot of notes like yours but I can’t give out colors unless I’m standing right there. But since that’s not going to happen, please consider purchasing my paint collection/palette product. I have all of my favorite whites, dark blues and blacks included. You can read more about it here. I have loved your blog, and have learned more in the short 2 months since I’ve discovered it than in the 10 years I’ve been trying to learn about decorating. Thank you for sharing all your info! I have one “duh” question…when you discuss a “north-facing room” or an “east facing room” are you referring to the window placement in the room (the main window faces north, for example) or are you speaking of the actual location of the room in the home layout, regardless of which wall has a window? That’s a good question. My understanding is that it refers to the direction the window(s) is facing. One thing I’ve discovered is that there can be bright north facing rooms and dark south facing rooms. Just depends on the terrain, trees, other buildings, time of year, time of day… Then, the windows. Are they big little, high, low? Well… Here’s the thing. I really cannot stand upper cabinets unless they are floor to ceiling without a counter. I’ve written about this numerous times. While dark colors recede, they are also weightier. So for the theory to work, nearly everything needs to be dark. Frankly, I’m with hubs. I adore white kitchens. Although a white kitchen with a black butler’s pantry could be sweet, but it needs to be very separate from everything. Yours sounds open and I think the black would be a mistake in that case. Now, if you had no upper cabinets and only shelves, that might be different, but that’s probably not the case. In any case, I don’t think that protruding dark cabinets will make the space feel larger. Oh Lynette, I lived in the city for 14 years. My smallest place was 500 sq feet and for 5 years had a roommate! That was sometimes painful! Come up to Bronxville! It’s 30 minutes into GCS. You can walk to the train. I’m in Yonkers but B’ville PO, literally 500 feet from the B’ville border. It’s beautiful here. You can get a place 3 times bigger for under 200k! Did you see this post, however? It’s about tiny homes! We are remodeling a house with a light fireplace brick (whole wall, raised hearth) and dark paneling. If we replace the paneling, I think we need dark paint on all but the window wall (big panes). The fireplace needs the contrast around it and the balance of light opposite it? Guess we try it and see. So happy to see you here! Thank you so much. I’m immensely flattered. I didn’t realize that I had any kind of listing on todl. It’s not something I use, but have subscribed for years and years. Great blog. Read it all the time. Can you please give your fan base some insights on painting floors? Mine are in desperate need of an upgrade. What are the options for staining, painting and/or stenciling an existing floor? Do I have to sand? Do your dark vs. light color comments apply to underfoot too? Several years ago I had this uncontrollable urge to paint our living room ceiling dark brown (actually reddish brown). 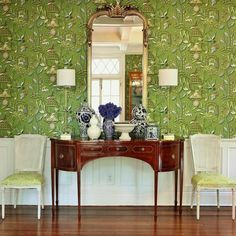 There is a substantial white crown molding and the walls are kind of between a light olive and acid green. I’m pleased with it but can’t say that it makes the ceiling look higher (it’s okay though as ceilings are almost 9 1/2′). The exact same height ceiling looks much higher in our entry hall which has a pale aqua blue ceiling, white crown and trim, and saffron walls. The biggest game changer, relative to how the size of the room appears to be stretched, is built-in bookcases. The floor-to-ceiling one in the entry hall elongates the wall height while a waist-high built-in in the LR elongates the width of one wall. 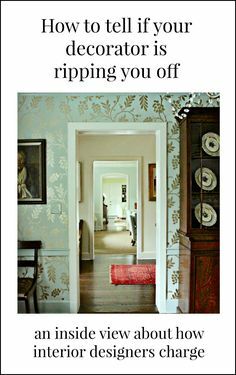 (Trim and built-ins everywhere in these rooms is white). 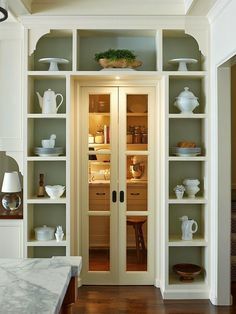 The effect of the latter bookcase on the perceived size of the room is quite substantial and has really gotten me thinking a lot more about how different shapes and configurations impact what we see, both in the house and in the garden. I have always wondered about this one…dark recedes, right? But every where you turn they say light = bigger. In our last house the basement family room was long and narrow and painted light beiges. I picked a darkish grey for the long wall and we put. Large open shelf with tv in the middle on it. It was awesome – cozy but also made the room proportions seem better. So happy to have stumbled across your blog — wonderful images and very sassy editorial. We have a small (7.5′ x 9′), windowless galley kitchen in our rental. The current wall and ceiling color is a very dreary cream yellow, lovingly accentuated by an overhead fluorescent fixture. If my husband didn’t object I would go with BM Tempest or BM Schooner on the walls (plus white ceiling) hoping it would contrast with the builder-grade but not totally awful oak cabinets and then add either pendant or other spot lighting. 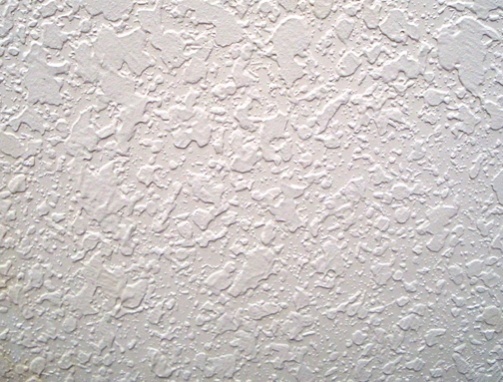 Instead we are compromising with BM White Water (a grayish blue) for the walls and BM Chantilly Lace for the ceiling. When I get up the courage to defy the management I will call in a tile person to replace our cracked vinyl tile flooring with Moroccan-style blue-and-white ceramic. Dark rooms can look bad with improper lighting. Or sometimes it’s just not a good color! Not all dark colors are good just as not all light colors. And light rooms also need to be lit properly. The cozy comes from everything else that’s in the room which is set off by the deep color. A dark room can feel mighty cold with nothing else in it. I can’t say without seeing what your place looks like and that would have to be with my paint consultation service. If interested, please contact me for pricing. I’ll have to do another post about this, but bright colors also make a room look smaller. Hot colors, smaller… Cool colors bigger. Laurel, we are also remodeling, like Michele. We are about to put up drywall, and I was going to do some sort of texture, but I keep seeing you mention orange peel in a negative way. I’m starting to see that many of these beautiful homes don’t have the highly textured walls that are common in new construction, like orange peel or knockdown. So, my question is, what would you recommend? We are tearing out all of the nasty “trailer home” paneling, knotty pine “lawyers” panelling, and flat sheet paneling, and replacing it with drywall throughout the house. It’s a 1960s ranch, if that makes a difference. I realize I’m super late to the party (can’t stop reading old posts today! ), but in case anyone else had the same question as Rebecca, our contractors in Texas would call the traditional smooth finish a “level 5” or “museum” finish. Unfortunately, it is typically significantly more expensive than the standard knockdown here, but in a classic home, it does make quite a bit of difference in look. Read away! We have your Texas heat today or at least something approaching it. It does get far muggier here though and there is a nice breeze. These are the common ways to finish drywall in this region. I have rarely seen anything else. I wonder what it is that people do in your neck of the woods? Do they use drywall with some sort of plaster skim coat? I’m not sure, and I’m trying to figure out what to ask a contractor to do that will achieve the look that you commonly have in your area. As I said, regional definitions of terms are different, so I’m trying to figure out what exactly y’all do (y’all…that really gives away that I’m from Texas, haha!). I’m intrigued that you may do a blog post on adding character to plain homes. I’m drawn to colonial styles like Georgian architecture. That’s not common in Texas though because this area wasn’t settled until the mid-late 19th century. We commonly have some old victorians from the late 1800s, then the turn of the century gave us some craftsman style and some four square. Typically, though, what you see if my area is a whole bunch of mid-century ranch houses that lack any character whatsoever. They are known for awful horizontal window openings. For example, my house has 4 rooms in it that have two 42″ X 60″ windows mulled together, created one large window opening measuring 84″ wide and 60″ tall. They are quite squatty. They layouts are also all over the place. There is a lot of wasted space, tiny closets, boxy designs, and lots of “trailer home” dark paneling. Oh, and orange-stained wood EVERYWHERE. My entire kitchen is like this. It’s horrible. When it comes to adding character, I typically try to stay within the architectural style of the home. As an example, there’s a cute little arts and crafts of Main Street in my town. Somebody bought it and completely remodeled it, which I was excited about. When I saw the pictures on MLS, guess what they had done? Gotten rid of all the original craftsman windows and replaced with vinyl with faux grids, put “ranch” (not ranch style house, but Texas western ranch style) cedar everywhere, and even put in a Texas star front door instead of the craftsman door that was there. It’s ridiculous! They completely missed the character and charm of the house, and now it has an identity crisis. I’m afraid of doing that with my house. Am I going to put up wainscoting and chair rails and crown molding in a 1960s ranch style house? I have no idea. I’m really worried it’s going to have an identity crisis like the house I mentioned above. At what point do you have to admit that there is little hope for a home, know what I mean? Oh wow! Learn something new every day. And yes, it’s regional. We don’t do anything like that — ever. But Texas interiors often try to resemble plaster or stucco like all of the southwest. I just had never heard those terms before. We prime and paint and it’s a smooth finish. Older homes do often have plaster walls, but generally, it’s still a more even finish than what you showed me.